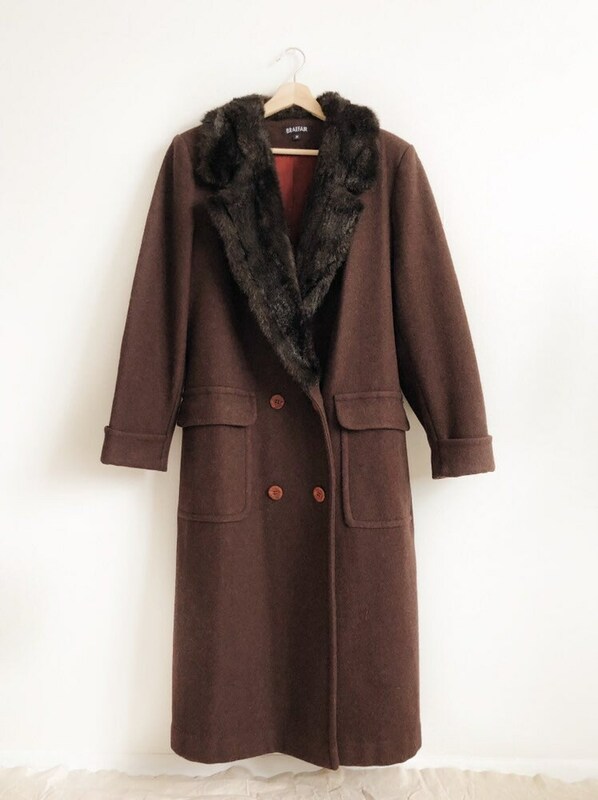 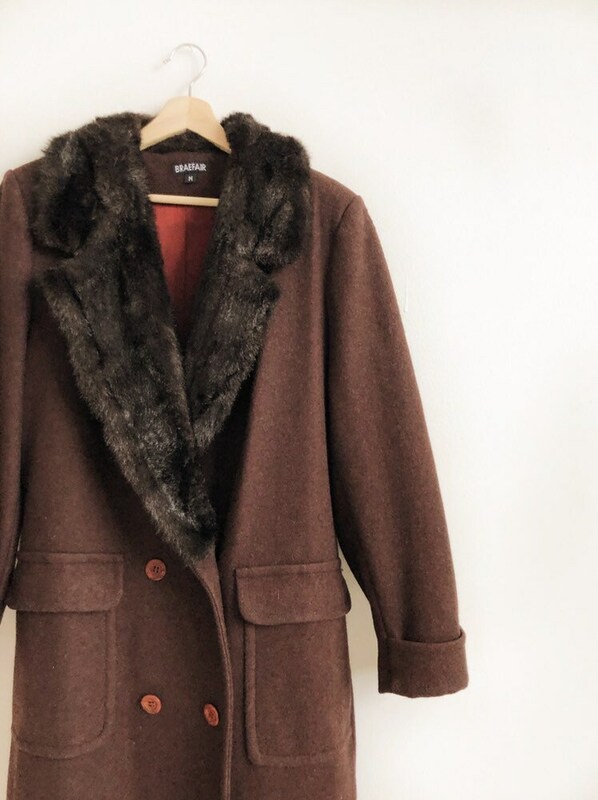 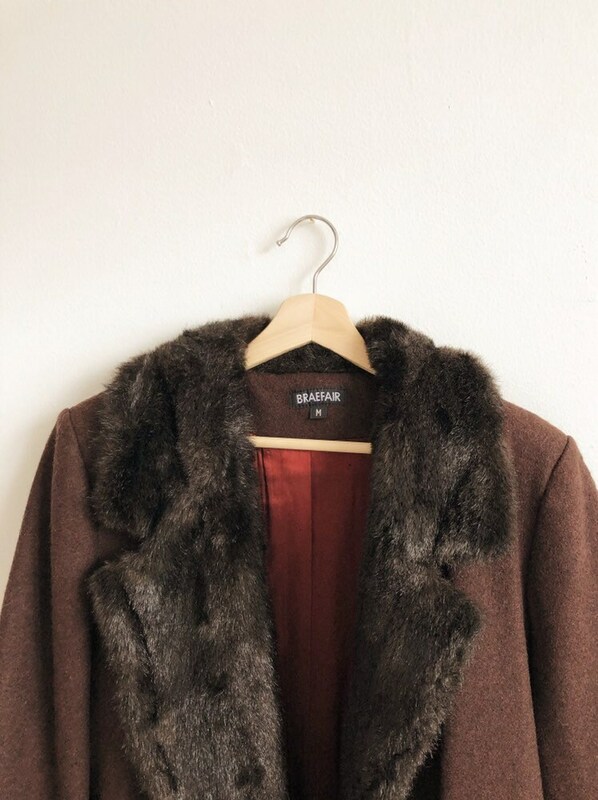 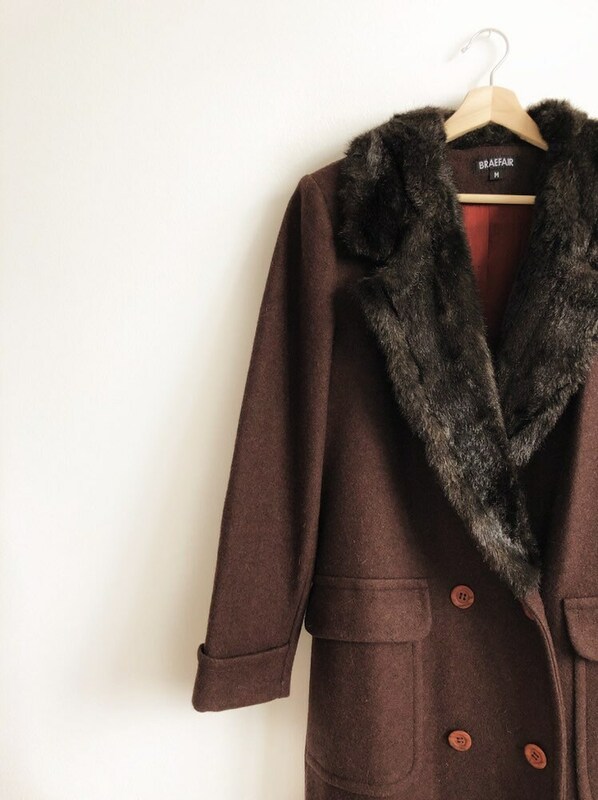 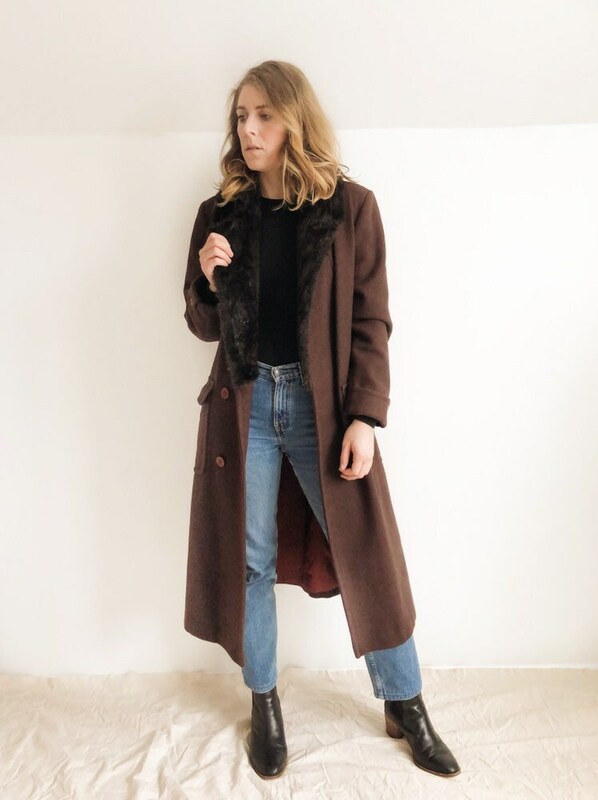 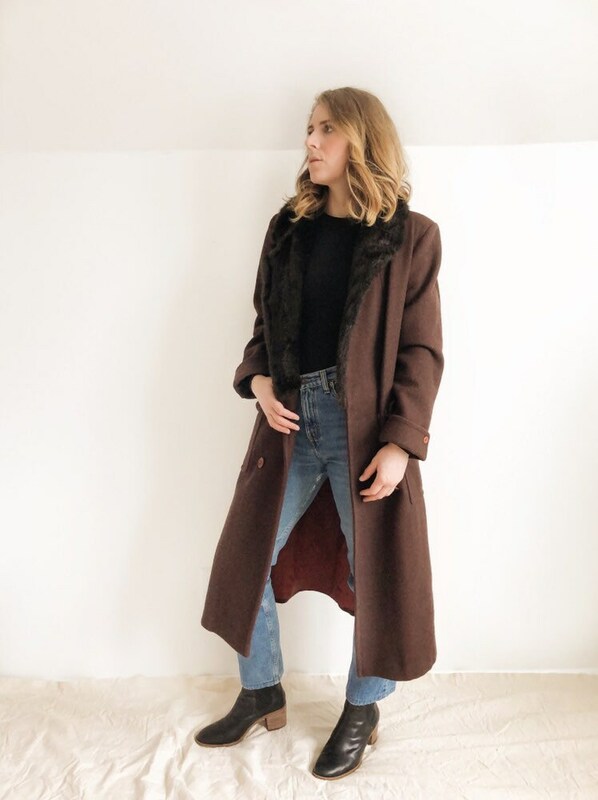 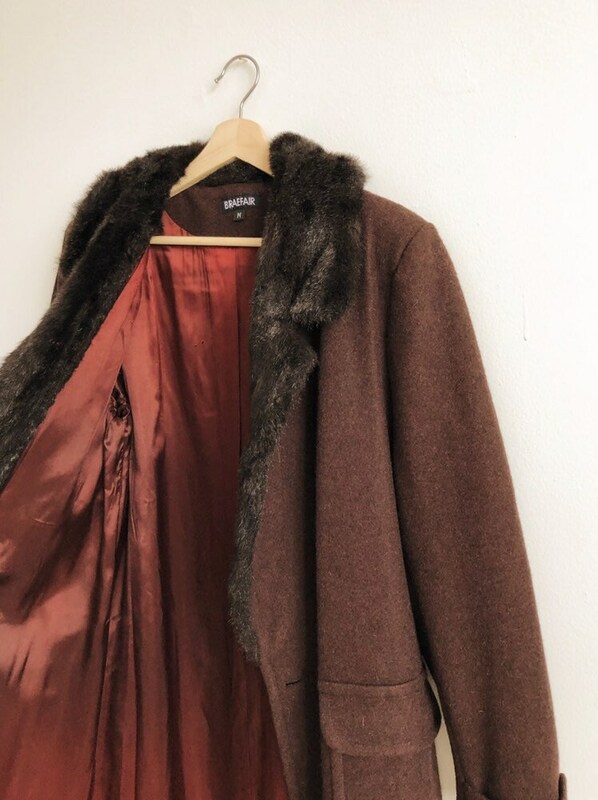 Beautiful, union-made, wool coat with a faux fur trimmed collar. 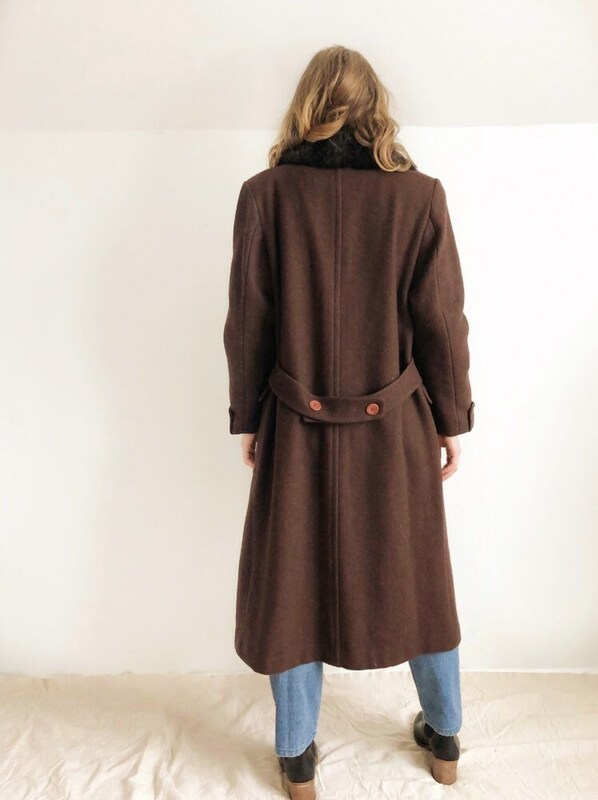 Features a belted back. 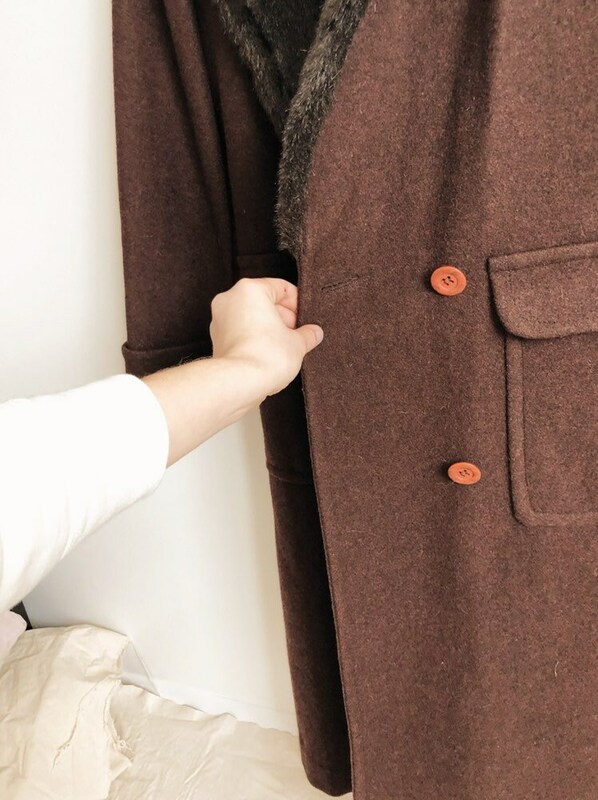 Lining has a few small moth holes, but otherwise coat is in a great condition! 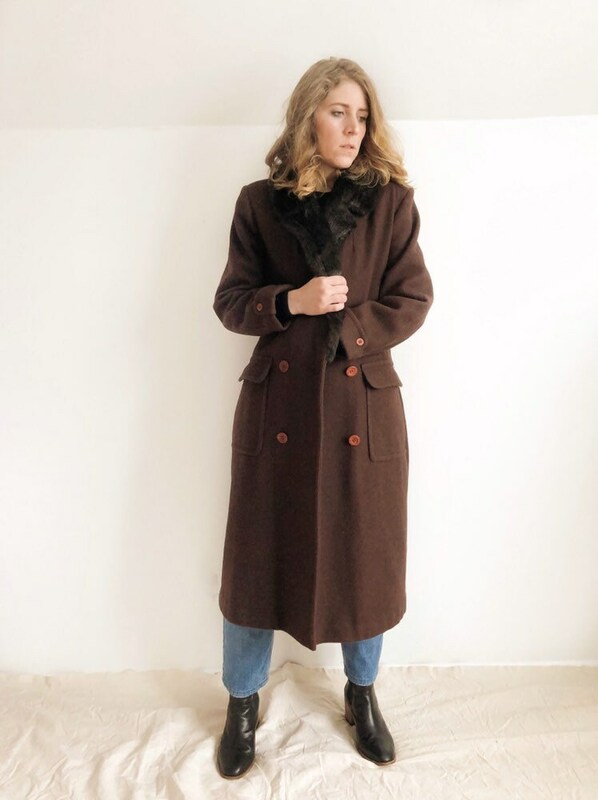 Labeled a size Medium but see measurements below for a more accurate fit!